On August 17th I took the PTE academic again. After failing the PTE speaking section on my first attempt, my confidence had decreased substantially and I was nervous. I need a PTE 90 to get into my university program and I never thought it would be a problem to achieve it. This is a mistake that many native and near native English speakers make— and it is a very costly one at that (330 AUD to be exact)! Since my first experience with the PTE, I have spoken to an astonishingly high number of native speakers who have done poorly on at least one section of the PTE. Why is this the case? You might be thinking, “If many native speakers can’t even get a PTE 90, what chance do I have?” Stop right there. I’m not telling you this to scare you or to decrease your confidence even more. I’m telling you this because you need to know that acing the PTE comes down to more than just your English ability. We say this every single day to E2Language students and it is absolutely crucial to remember: if you don’t know the format of the test through and through, and if you don’t use the appropriate methods in your responses, it will negatively impact your PTE result. 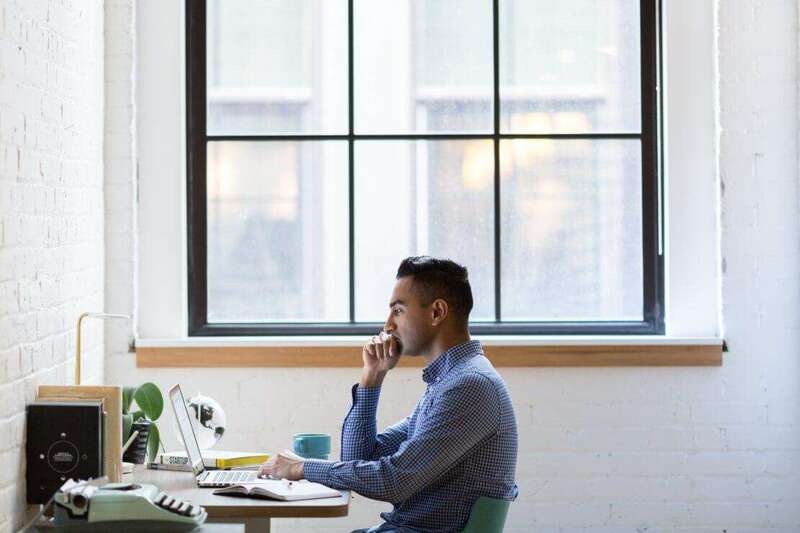 On the bright side, knowing the format and the methods means that you can have less than perfect English and still get the PTE score you need for your immigration or study purposes! I want to share a few PTE tips that really worked for me on my second attempt, and I hope you find them helpful too! PTE 90 Tip #1: Use a reliable method to address the criteria in each of the PTE sections. I’ve put this first because it is by far the most important. On my first attempt at the PTE, I thought I could just talk about a graph for 40 seconds with no problems, and I was very wrong. The graphs and diagrams in the “describe image” task can be highly complex, and I found myself not knowing where to look for information or what to say. I couldn’t even fill up the full 40 seconds because I didn’t know what points to focus on! The second time I took the test, I couldn’t believe how easy it was to talk about the graphs and diagrams when I applied our E2Language method (which of course I should have been using all along!). If you want to find out what the “describe image” method is, you can watch our webinar below for free to find out! One of the most useful things about this method is that it tells you what to say at the very beginning of all of your responses. As Jay says: “if you know how to start, you know how to finish”. We’ve developed a method for every single task type on the PTE and they work. We do weekly webinars detailing these methods for our students and we also have a webinar bank built into our PTE preparation courses. You can sign up for a PTE free trial here. PTE 90 Tip #2: If you can, choose a smaller testing center. This made a huge difference for me. The first time I wrote the PTE, I went to the busiest test center in Melbourne. It’s a beautiful location and the Pearson representatives there were lovely, but the sheer number of students writing the exam meant more background noise and nervous tension. On my second time around, I went to one of the smaller centers and there was a noticeable difference in both noise and nerve levels! Because there were fewer people, the whole process of getting set up was a lot more relaxed, and the representatives had more time to spend with each candidate to explain the rules and expectations of the test. In addition, I felt comfortable talking to a fellow test-taker who was sitting next to me in the waiting room. I highly recommend doing this before you write your PTE. Don’t waste time talking about study tips though, just genuinely have a nice conversation with the person about why they are taking the test, what they do, and whatever else you can think of! It’s not about using your fellow PTE candidates as study resources (too late for that! ), but rather creating a relaxing atmosphere for you and for them. Trust me, it does wonders for your nerves! Finally, in this less hectic atmosphere I felt more comfortable confirming with the test moderator that my microphone was working correctly to pick up my voice. I cannot reiterate this enough: ALWAYS ask somebody for a check if you are unsure whether the microphone is picking up your voice properly. PTE 90 Tip #3: Actually read the instructions before you begin the test. This may seem like a silly tip, yet you would be surprised how many people go through this test without fully understanding how it works or what’s coming next. You need to be aware of how to use the equipment, how the time limits work, what order the tasks will be presented, and much, much more. I can guarantee you that there is always a piece of information in the instructions that will prove useful to you during your PTE exam. Another reason to read the instructions is that it gets you warmed up for reading in English. The first section on the PTE is the speaking test, and this can be quite daunting for many people. Reading the instructions fully gets you thinking in English, and it gives you time to get focused and prepare yourself for the challenging task ahead! Bonus PTE 90 tip: It pays to know the format. Although the instructions will notify you which section you will be completing next, they don’t tell you which order the tasks will be in, nor are the tasks labeled when they are presented. This can be quite disorienting and it certainly confused me the first time I wrote the test! Here is what you can do: if you have the PTE book, make sure you look at the order of the tasks for each section and get comfortable with it. If you don’t have the Pearson book, you can look at the order of the tasks on our blog, which matches the real exam format as well. Here is an example. Knowing what is coming next and what it looks like will make a huge difference in helping you achieve the PTE test result you need. I wrote the TOEFL a couple of months ago and the exam centre was dirty and the staff were very disorganised and rude. Hence, my decision to write the PTE. I’m also writing in Melbourne and looking for the smaller exam centre? Which one did you write at for your second attempt? I’d love to get your thoughts. Thank you so much! 🙂 Sorry to hear about your experience with TOEFL. I would highly recommend writing your PTE at Cliftons on Collins street. What I really liked about it was the laid back and helpful nature of the staff, as well as the smaller number of people. I also found that the cubicles were a little more private than the bigger test center in the city. I wish you the very best of luck with the PTE, definitely let me know how you go!! Thanks for all of the tips – they definitely helped me relax. I wrote my PTE exam at the Melbourne Polytechnic on Saturday morning, just received my results and I achieved 89/90. The E2Language webinars also helped me….ALOT! Best of luck with everything in your future now that PTE is out of the way, and seriously- congratulations and well done!!! i have done mine as well there my score is getting stuck on 49 what would be the best solution for it ? Kia , Any Suggestion for the centre in Sydney?. I have given PTE exam twice and failing with very less score difference in Speaking. I have challenge in handling the noise around and hard to concentrate on my speaking. Could you please help me coping up with this issue? I’m writing it again in Oct in Clifton Melbourne and I have to crack this time. Please help me some advice on how to practice and any strategies. 1. Practice recording yourself speaking in a busy public place. Believe it or not, you can eventually tune out loud background noise if you get enough practice! It’s hard to imagine because we often study and prepare in quiet environments- but practicing in a chaotic environment will really help you. Go to a cafe or a public park- even practice on the tram! Bring practice questions with you and record yourself completing them on your phone if you can. Get comfortable talking to yourself in the midst of a crowd. It may feel silly but it really really helps. 2. Don’t start the speaking section until you hear other people start it. This tip is very underrated and a very helpful secret! Basically, if you begin and there is nobody (or only one or two people) talking already, you will get distracted when you hear other people begin. What you can do is take your time reading the instructions so that you are not one of the first people to begin. Once you hear most of the people begin their speaking section, give yourself 30 seconds to get used to the level of noise, THEN begin. This is a biological/psychological process called habituation. Your brain will quickly get used to hearing the background noise and you will have less difficulty focusing on your own voice! 3. Sign up to at least one tutorial with one of our E2Language teachers! Maybe you have done this already- but if not- I think it’s really important that a language expert helps you with this problem (especially if this is your third attempt). Our teachers know the format and the problems that arise in each section, and they can actually work with you one-on-one to help you overcome this issue. If you aren’t signed up to our course you can get a free trial at http://www.e2language.com/home/pte and set up a free information session with a teacher. In this time, you can discuss your concerns about the speaking section! I really hope this helps you, and I wish you so much luck on the PTE in October!!! Is it a good idea to switch from IELTS to PTE, I have got overall 6.5 Bands in IELTS last month, 7 bands in speaking and 6 each in remaining. PTE has a way different format than IELTS, how can I get 79+ in PTE in just 2 months of practice. To understand which test would be more suitable for you, we need to assess your overall performance. Could you please share this query along with your scorecards to our Duty Tutor? They will be able to assess it for you and recommend the next steps. I agree with your thoughts on practice speaking in the crowded areas. And I feel this is the motive of PTE as well that we should be able to speak in general environment rather than close and quite rooms. Problem happens when candidates start shouting (to ensure their voice is recorded) instead of speaking softly and that causes the distraction. So if you are already habitual of speaking in crowd, then there shall be less problem in exam room due to people noise. Thanks for your detailed explanation. Much appreciate it – it helps a lot. That is a good idea. I will try practicing in a busy cafe. Also, I would like to know how long will the free information session be. First of all, thank you for your information and tips regarding PTE test. I have decided to take pte test but i am not sure is it a good choice because the structure is completly different with ielts. l have 0.5 scores less in both reading and writing that is 6.5 while my speaking was 8.5 and listening 7.5 in my last ielts academic exam i had last month , I cant finish the tasks both in reading and writing. can you please advice me that is 2-3 months practice enough for preparing PTE for 65 scores that is 7 in ielts, and also is it an easier exam compared to ielts academic? Thanks for the comment! I’m sorry to hear about your difficulties with the reading and writing sections on the IELTS. PTE may be a better fit for you in these areas because the writing section is short and sweet (usually one short essay and 2 summarize text tasks) and the reading section has a variety of questions that make it go by a little quicker (in my opinion!). Switching tests can be quite difficult, but in 2-3 months I don’t think you will have a problem learning and practicing the PTE format. Thank you so much for your detailed tips. I’ve gone through all the webinars by Jay and would soon start practising with them. I’d be writing the PTE in 3 weeks. Good luck with the PTE, I hope it goes well for you!!!! I’m so sorry to hear about your past experiences with PTE speaking. It’s disappointing to hear experiences from those who are losing confidence in their ability over stuff like this! How did your Zoom appointment with E2Language go? We would love to help you figure out exactly what’s going on and figure out a game plan to help you achieve your scores next time. Have you thought about switching over to IELTS, given the human examiner component? Hi, Kaia. Thanks for your email. I am looking into enrolling with e2 to seek help in improving my speaking score from 40+ to 79. Do you think this is possible to achieve? Do you have the same students who are in my position and has PTE come back to you regarding your low speaking marks for your first take? Thank you. To answer your question, yes I do think it’s possible. However, it will take time. I would recommend setting aside at least 6 weeks (at a BARE minimum 4 weeks) for your preparation. We have seen massive improvements in our students’ scores from the first to the second try, but this has been after time, feedback and one-on-one tutoring with our team. If you are willing to put in at least a month of work to improve and take advantage of everything our course has to offer (tutorials, feedback assessments, webinars etc), I think you can get there. A large part of the speaking section assesses the method you use to answer the questions, and it’s not just about having great fluency and accuracy. We can help you improve not only your English, but your methods and strategies as well. I would personally recommend package 3 to you, as it will provide you with lots of assessment and feedback for your speaking practice in particular. Let me know if you have any more questions!! 🙂 And good luck! I am struggling for scores in writing and speaking. I took IELTS academic in november with 9 in reading and listening and 7 in speaking and lowest of 6 in writing. I need to get admission in teaching degree which requires me to have 7 in reading and writing and 8 in speaking and listening then i can get admission. I have booked pte for 4th feb2017 this time. The only thing i am scared about is a hidden policy to give lower scores in one of four modules( like in IELTS). I was unable to contain myself to 250 words. Please suggest something helpful for writing. First off, great job booking the PTE over a month from now! You are very smart to give yourself a substantial amount of study time. I think you can definitely get a 65 in writing, however you are going to need to develop your writing skills over time and work on being clear and concise. PLEASE don’t forget that you also need to learn the PTE format for all the other tasks too, as they are different from IELTS! A lot of people over-focus on their weak areas when they prepare and then do badly in the other sections because they didn’t prepare properly. Don’t make this mistake! Second, make sure you are doing timed practice questions so that you get used to the very short time limit on the PTE! You can find a sample writing question on our free PTE trial course. A big problem people seem to have is running out of time for editing, and every mistake counts. Good luck to you, you’re very close and I have no doubt that you can do it!! Your blog motivates me very much. It gives me the impression that I can also achieve a PTE90. I need to obtain a CEFR C2 equivalent result. My initial attempt at PTE is a 70. Thanks for the comment, I’m so glad to hear this, and I can assure you that you can do it! If you have an questions about your preparation, definitely check out our free forum and the rest of the blog! Have you done the practice PTE questions on here yet? Recently I have attempted PTE but failed to score the desired score (79+) for my immigration. I would like to upgrade to one of your tutorials as I am almost there. Kindly help me as I need to give my exam second time at the end of Jan 2017. If you need some help deciding, you can either click here to schedule a free information session with a tutor or email hello@blog.e2language.come2language.com with a quick description of your previous PTE scores and a teacher will get back to you with a recommendation! If you have any questions about anything, feel free to ask me too! 🙂 Good luck, we look forward to helping you get that 79! Thanks for all these valuable info. Am going to take the PTE Exam in a couple of weeks, I tried answering some of the practice tests that came on the CD with the book (tried the reading so far) yet I can’t really find a way to score myself or know how good or bad am doing! PTE is clearly ambiguous when it comes to scoring can’t find any info online…..any help? Sign up to our free trial and try a couple of our practice questions to continue to get a sense of anything you are clearly struggling with. Check out our free practice questions on this blog too. Then, watch our free mock test videos on YouTube. In addition to this, the webinars we have up on youtube for each task each have a breakdown of how to meet the criteria for the given task. You might find these resources quite helpful. Finally, you can check out the actual score guide here, but just a warning- it’s not very reader friendly! If you have any specific questions about how a particular task is scored, you can email us at hello@blog.e2language.come2language.com with your question. I hope this helps, good luck with your preparation and with the PTE! Thank you for your wonderful tips. These tips helped me to prepare well for my PTE test. When I attempted the test for the first time, I did not know what to expect. I felt that I could pass the test on my first attempt as my English proficiency is not too bad. However, I ran into some problems. I exceeded the time allocated for the reading tasks. I did not managed to complete as many as 6 tasks. The outcome was a low score. I needed to score 79 or above for all sections. Then, I came across your blog and also viewed the webinars conducted by Jay. I was well-prepared this time and went for the test. I completed my PTE within two hours due to the methods provided my Jay and your tips. I got the scores I wanted. Time management is key for the PTE. The other point you made about concentration is also extremely important. The person next to me was talking loudly and also panicked at one time as the permanent marker could not work :). This person spoke loudly to seek attention. I am not sure how I did it, but I managed to keep calm and focused on my screen at that time. Focus and concentration are key as well. Thank you for sharing these valuable and important tips with us. Without these tips, the task to pass the PTE would have been much harder. Thanks again you guys. Keep doing what you do. Thanks again for taking the time to write your comment!! I have given a few attempts with the PTE and haven’t been able to score more than 69 in the speaking section. All the other 3 are over 80. Someone then recommended me to go in for the IELTS and with that I am struggling to get an 8 in writing, where my other sections are all 8.5. Do you recommend trying IELTS only or try my luck with PTE again.. I have actually given up on both as one exam I struggle with speaking and IELTS i struggle with writing. Look forward to some suggestions!! I’m really desperate and would be happy to get any help. 1. Learn a method for each PTE task. For example, here is a method for Describe Image (which is weighted very heavily in Speaking scoring) that works extremely well for our students: https://www.youtube.com/watch?v=4GwRNkouA8M Our PTE course has a methods webinar for every task on the PTE, and we constantly improve upon these methods based on how well they work for our students. Sometimes people have amazing English, but no idea how to address a task in the correct way. Describe Image is a great example- you have to talk about specific points in a specific order if you want full marks. 2. Check your pronunciation and fluency scores. If they are low, you need to get to work on those too! Check out this article about fluency, and these pronunciation videos for some extra help. We also have have a pronunciation app included in our PTE courses that scores you on your pronunciation of each part of a word to help pinpoint where you need to improve. I have given the 1st attempt couple of weeks back and got L-80, R-67, W-75, S-83. I would need 79 in each to get 20 points, as iam at 65 points and that might take time to get the ITA from DIBP. Any suggestions to improve the Reading aspect specifically ? Check out our YouTube PTE channel- it has some good reading tips videos and a reading webinar as well! I gave my PTE-A and got 85 overall ( R:90, S:90, L: 81, W: 72). But I badly need a 79+ in each of those sections. I had always thought writing was my strength and speaking would pull me down, but the results show the opposite. In fact, even in the two mock tests, I had scores only 77 and 71 in writing. There are three areas where I need to improve more than anything – spelling/ writen discouse/punctuation. Can you please provide me some pointers on this? I am willing to take a course if that helps in my written discourse where I scored low. I’m so sorry to hear about your experience, you were so darn close!! Honestly, it sounds like you need to build on some fundamental writing skills, not just complete practice questions. What I would recommend is to sign up for our ” target=”_blank”>”Almost There” PTE Package so that you can have full access to the E2Language writing video lessons, webinars and practice materials. In addition, you’ll receive a one-on-one tutorial with an expert PTE teacher who can focus solely on providing you with writing feedback, strategies and guidance. They can also direct you to the appropriate grammar and writing resources to help you build on your current weaknesses. We’d be happy to help you out! I have appeared for PTE exam a month ago and have got L:52 , W:58, S: 54, R:53. Could you please help me in getting 65 in each band. I have registered at e2language website and updagraded my package as well. And I am planning to take up the exam in a span of one month time from now. You need to get started! Have you booked your study plan consultation yet? You should have a link to book in your welcome email, or you can ask a tutor using whiteboard! 🙂 Feel free to message me through the blog contact page if you have any issue getting your sessions booked! Hi Kaia, Thanks for the awesome article! I’ve taken PTE exam twice and I couldn’t clear the speaking section as it always score below 65 with low marks for pronunciation. Could you give me some advice on this matter please? My best recommendation is to email us at hello@blog.e2language.come2language.com with a breakdown of your situation and a little information (where you are from, why you need to take the test, your past scores etc.) so we can get a full picture of what might be going on with your score. Our duty tutors are great for making suggestions about how to move forward! Good luck, please don’t lose confidence!! This is Hitesh from india. I have gave my pte exam on 9 nov 2016 and got overall 66 points with L-68, R-62, S-69 and W-71. But I need to score 79 in each section. Also I find reading and listening section diificult to me. Please help me in this regard. I happened to stumble across e2 language and I found the free material pretty useful.. Your tips on speaking really helped. and 90 in all the other sections as well. Prepared for about 2-3 weeks. Hi I have to get 79 in each .please help me on how to improve in reading and listening. Please send us an email at hello@blog.e2language.come2language.com so one of our awesome duty tutors can make a recommendation for you! Make sure you attach any previous scorecards you have from the PTE. 🙂 Talk to you soon! Your webinars are sure-shot recommendations for pte test takers. I was able to score a 90 and my english is no way close to that of a native english speaker. Thanks a tonne for the free webinars. It’s our pleasure! So glad to hear that you scored a 90, well done!! I got low in speaking section twice (47).Do you recommend IELTS or PTE for me? 1. What did you get on your “enabling skills” (ie oral fluency, pronunciation, grammar)? 2. Did you find it difficult to speak to the computer rather than a human examiner? Did you find the noise of the test centre distracting? 3. How long did you prepare for PTE before taking the exam? Thanks Sonu, talk to you soon! I have given PTE twice and struck with only 64 score with just 3 marks less than 65 in 3 subjects. However my worry is First time when I took exam I scored really well with marks L 70, W 89, R 66 and S 60. This time I prepared a lot and gone through all E2 core skills videos, webinars, methods etc. and gave the exam again last Tuesday and the status of report went on hold and got my result only today. but my score has decreased this time and I got L62, W72, R63, S63. I am really disappointed with this score. I followed all the tips and improved the grammar. Any idea if my 2nd report was checked manually and the score was reduced or something? I have scheduled my test again this Friday (28th April). Any help to improve my score is much appreciated. I have been preparing for my pte, for which I haven’t planned yet, but these webinars and YouTube tutorials are really amazing.you people are the best. I will post again once I have taken my pte. Can you please suggest me how can i improve my self. ?? I need 65 each . Please send us an email at hello@blog.e2language.come2language.com as well, we can make a recommendation for a course that will help you reach 65 next time so that you never have to take PTE again! I got my PTE score today and I scored 90 in speaking. Overall score of 83. Thank you E2 language for the stuff you have shared. I took PTE last week and I got very poor results with only 65 overall score. I bought a package from e2language and studied most of the questions. I barely had 2-3 weeks preparation though and I and got ill during the exam day. Now I’m going to book for another exam hoping I could get a 7 all. What should I do to improve my score? Depending on the course you took with us, you might be able to set up a post-test consultation with your teacher to decide your plan of action for your next PTE! If you took PTE express with us, I would consider upgrading so you can get some tutorials and assessments to boost your score! Sorry to hear that you were ill during the exam, I’m sure that had a negative effect as well. Keep practicing, and please feel free to email us at hello@blog.e2language.come2language.com to talk to a tutor about your last PTE attempt and get their recommendations! Just want to share my awesome experience with E2 Team for providing an excellent platform giving incredible teaching methods and guidance which finally led me to conquer my goal. I’m so happy and relieved that my chase for 79 in all sections in PTE has come to an end. This wouldn’t have been possible without E2 hands down. The methods for re-tell lecture, describe image, writing essays etc were phenomenal and to the point. I’m sure so many students including me found speaking section difficult but with E2 methods it made a huge difference securing high scores in speaking. I want to thank E2 team for giving their heart and soul helping students reach their goal. My overall score is 80. Not to mention this was my 7th attempt:) Nonetheless i feel grateful in fulfilling my dream eventually. In-spite of me scoring 79 in all sections, some of my enabling scores are very low to which i don’t understand how PTE scores students. I would totally recommend E2 for PTE coaching. All the best to all the students and to the E2 team. WOW! What an outstanding testimonial, thanks so much Anil! We really appreciate the time you took to write this, and congratulations on your success! !Good luck in your future endeavours! Thanks much for all the help from you and Jay. I managed to score all 90s in the communicative skills in my first attempt itself! Really grateful to your blogs and youtube videos and webinars! I had given PTE scored 70+ in all the modules and 66 in speaking. I want 79+ though. Can you suggest some methods how to get 79+ in all modules as I don’t know because i have applied all my tricks and methods during the first attempt. I really don’t know what to practice and where am I lacking. It sounds like you’re really close, but you need help pinpointing your weaker areas and finding the “right” practice to build your skills. If you’d like, you can send us an email at hello@blog.e2language.come2language.com and attach your scorecard. Once we’ve looked at all the communicative and enabling scores, we may have some insight and recommendations for you about where to focus your efforts! I took the PTE on July 11 after taking two mock tests. I scored 79+ in each section and I thought I had prepared well. In the actual exam however, I scored an abysmal 75 in speaking, while scoring 90 in the other three sections. This has really made me nervous. I booked a test for next week(within hours of getting my results) on a whim after seeing my scores. 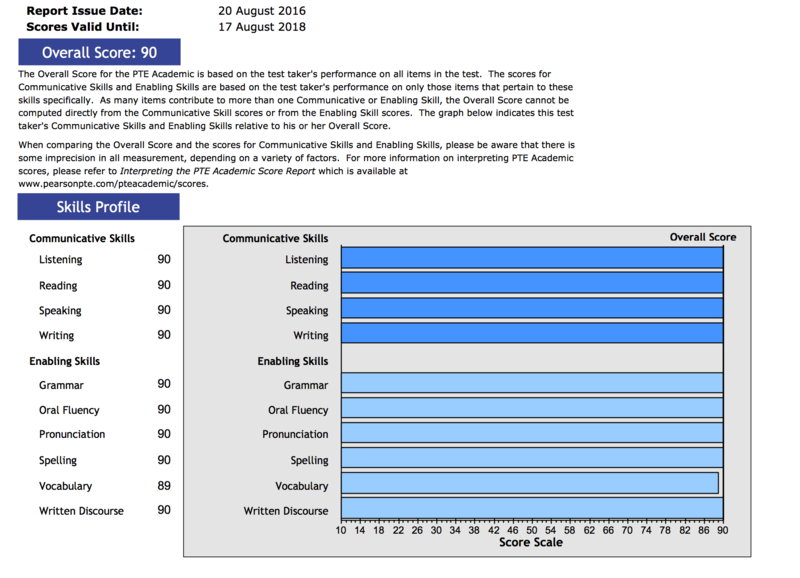 I scored 57 in oral fluency(I scored 78 in oral fluency in mocks), which probably pulled my scores down in speaking. I know there are no shortcuts to success, but was there something wrong with equipment perhaps? Do you have any suggestions for me? Could you please share your results to hello@blog.e2language.come2language.com so that one of our Duty Tutors could take a look ? I have done all e2language practice and webinars. But I failed badly in English. I know the format and I am not such a bad speaker. How to improve speaking score from 34 to 79? It looks like you may need some feedback on where you are missing out. Please send across your latest test scores, the scores you are looking to achieve and your next test date to hello@blog.e2language.come2language.com so that our Duty Tutor can help you out right away. Your tips, you-tube videos and the seminars are amazing. I gave my test yesterday with little preparation and managed to score 90 overall! I just followed all the strategies and techniques you guys teach and practiced accordingly. I appreciate your efforts in assisting people to understand PTE and get higher marks. A huge thanks to all the team. We are glad that you achieved your target score in the PTE . Do drop us a review on Facebook, Google and/or Trustpilot so that we can spread the word. Was struggling to get 6 in IELTS now I got score 83 in PTE .This exam is very easy to score without actually improving our English but to out smart computer .However,speaking is only the one to work and get 79+ score. I’ve managed to get 79 once in reading but the next 2 times I couldn’t(once 73 and the other 78). Please throw some light on this issue as I need 79 plus in all the sections as am applying for Australian PR. Please make me understand using my enabling skills and actual scores as to where am I lagging behind in reading. Please also let me know when to take this exam again. I’d also like to add, it’s only a matter of one mark in reading in my third attempt, so do u think if I re valuate then can it be of any help? Please assist me. We believe that the Duty Tutor has addressed this for you? Hey guys, I am a platinum user of E2 language but I am still struggling with PTE to get 79 plus. However, in my last attempt which was on 23rd Dec 2017, I scored 71/77/66/90 in L/R/W/S and I missed one write from dictation. Although your tips and strategies have improved my scores, my main weakness is writing. I am practising a lot but unable to see any improvement in that. I don’t know what else can I do? I had a doubt in the ‘read aloud’ section of reading. This will be my first attempt at PTE. While practicing I came across text in brackets in the paragraph that I was supposed to read aloud. Am I supposed to read what is given in the brackets? This scenario is pretty rare in the PTE but if it does occur, please do read what is given in the brackets. I attempted PTE in which I got above 60 in main sections (Writing, Reading, Speaking, & Listening), but my overall score is less. I need to get overall 60, and above 50 in each component. This time my overall score went low because of Spelling. Surprisingly I have got 19 ! How to improve this? This time I need to get the required score because, my intake is in July. Sorry to hear about your scores. 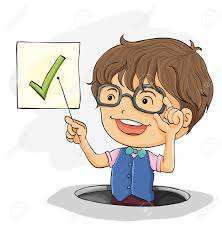 Furthermore,Enabling skills score are : Oral Fluency 72,Pronunciation -57, Grammar–64,Spelling-54,Vocabular-38,Written Discourse-90. I need 65 each in all segments. Kindly suggest me some tips so that I can achieve 65 in all segments. I need some of your help, yesterday I did the test for the second time in 2 weeks and I got a: L: 63, R: 70, S: 78, W:63. In the one previous to that I got similar scores except for writing that I got a 70. I need 65 in each band and I don’t know how to improve my listening. Can you help me?. I would like to know, what is the amount I have to pay for your paid version of training and mock test? I’m so glad I was able to come across your website. The webinars with Jay was very helpful. Even with just 3 days of preparation, I was able to get over 80 is all sections. Thank you so much for sharing such valuable insight on the test! Good day. Thank you very much. I passed my PTE exam yesterday with 90 in all parts of the exam in my first attempt. Several weeks before my exam, I had read this blog and watched some of your Youtube videos. Thanks ! I have prepared for PTE by watching Jay’s tutorials. It was really helpful. I wrote my PTE exam and I got 79+ in all except writing. I got 78! I was not sure why my writing discourse was so low. It is only 52. Could you please explain what is considered for the writing discourse? I took PTE couple of times prior to this and could not score beyond 76. I have done the pearson online scored test and did not perform very good at all. Do you think the actual PTE test is easier that the online pearson test? I will be writing my first attemped in 3 days time. Happy you asked! The answer is- it really depends! Especially on your scores. They help give our users and students help as they understand the scoring and can usually see where a person struggles most. They may be able to suggest an E2 package for you or even answer your question about switching!